This Plush Lion Baby Gift Basket is the perfect gift to welcome a newborn baby boy or girl. 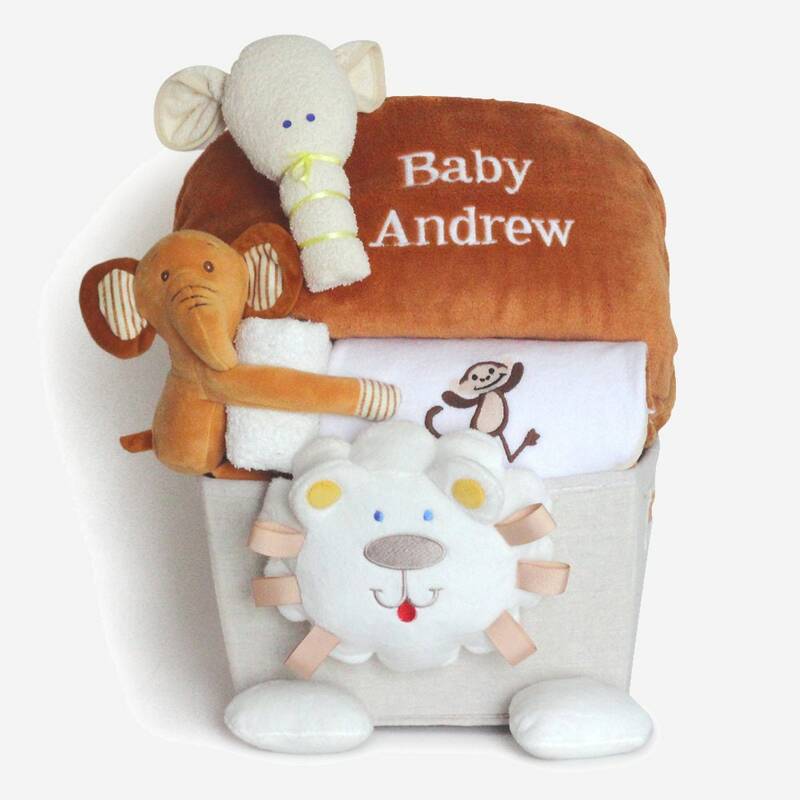 This adorable gift features a unique and functional linen storage basket, beautifully customized with plush lion accents, a super soft personalized baby blanket and a host of other quality layette items for baby. You can be sure the new parents will go "wild" for this fantastic baby gift! The baby blanket can be personalized up to two lines with a maximum of 18 characters. Please enter personalization in the Notes/Comments box during checkout.